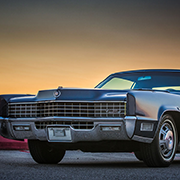 US-CAR-SHOW-Dornbirn | Geralds 1958 Cadillac Eldorado Seville, 1967 Cadillac Deville,1967 Cadillac Eldorado, 1971 Lincoln Continental Mark III and 1978 Cadillac Eldorado Biarritz. 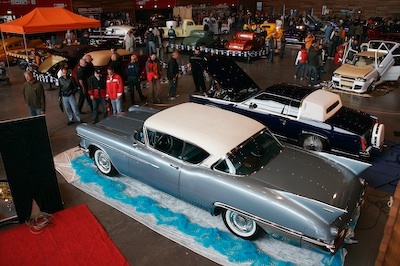 The US-CAR-SHOW in Dornbirn/Austria is the very best and biggest car show in Austria. It´s held every second year and my wife and I visited it for the 3rd time. Together with my friend Tayfun and Betty we made the 6 hour drive there. Our cars were finished at the very last minute before we could leave - but we made it there safely and without any issues. 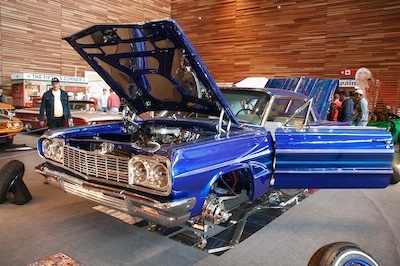 Our cars were exhibited indoors at the showroom together with some spectacular Customs, Lowriders and Hotrods. My car was the only original one - but the spectators loved it very much. The show was held on 3 days and we loved everything very much. A big thank you to Robert Willinger, who is the organizer of this event. A massive image gallery can be found here.